Pasadena, Calif. — Parsons was recently awarded an engineering and construction support services contract from the Portuguese Directorate of Highways and Railways Infraestruturas de Portugal for the April 25th suspension bridge in Lisbon, Portugal. Services provided under the contract will support bridge improvements and maintenance, as part of Portugal’s infrastructure capital improvement program. 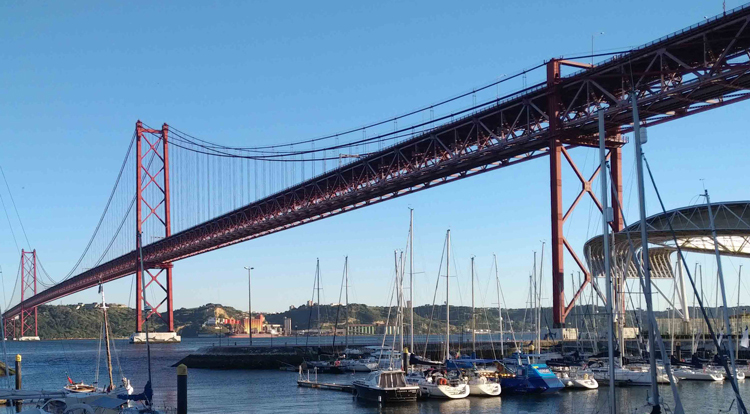 The iconic bridge over the Tagus River, which connects Lisbon to the municipality of Almada, is often compared to San Francisco’s Golden Gate Bridge due to its similar aesthetics. The bridge was named after the Portuguese Carnation Revolution on the 25th of April in 1974. The bridge is 3.2 km long with a main span of 1,013 meters and two 483-meter side spans. Parsons designed the original bridge in the 1960s; in the mid-1990s, the firm provided engineering, design, and construction monitoring for roadway widening and the addition of the second deck for heavy railway tracks.